Having followed Jenny Haynes of Papper, Sax, Sten since she started out in earnest in the United Kingdom, I was more than excited to be given a set of her acrylic templates and some luscious Oakshott fabrics. I was less excited when I realised which pattern she wanted me to use…. Curves always fill me with dread, although as you’ll see below, it’s not that difficult once you let go! The pattern is a sun flower made up of various drunkard’s path blocks (CURVES!!!! ), all combined in a clever way to create a flower and various leaves. The pattern instructions are very well set out; with step by step written instructions and supporting images to take you through the various steps. If you are following the colours set out in the pattern, the main challenge is going to be to ensure the colours go in the right place! The templates come in a few different sizes, but the ones used for this pattern ensure you can get both a convex and a concave piece from a 5″ charm square. 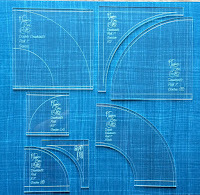 The templates are custom made for Jenny to work with her various patterns. 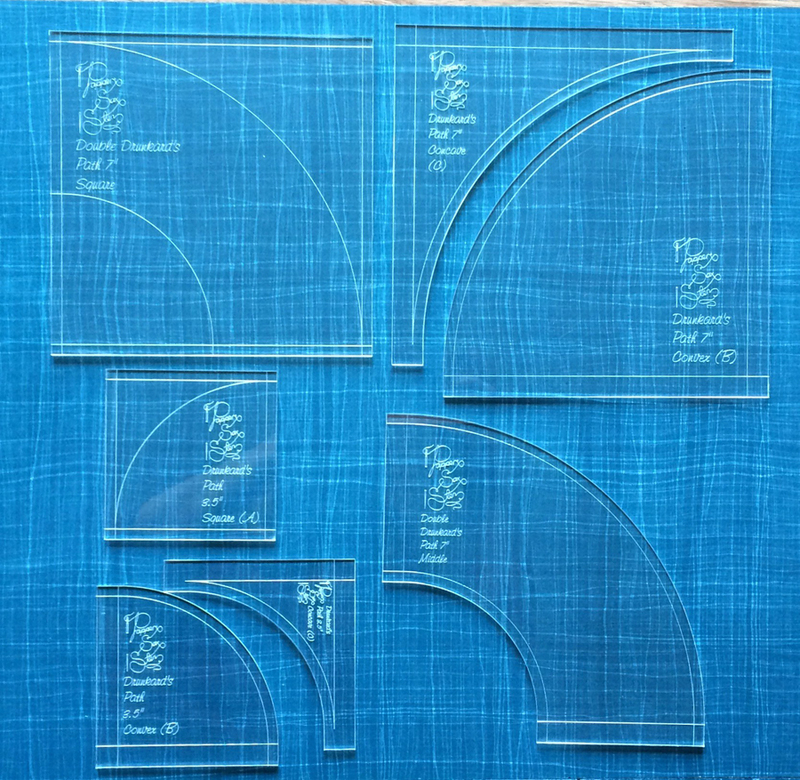 The set also include a ‘square-up’ tool, which on its own warrants the cost of the templates. The ‘square-up’ tool is by far my favourite! I mentioned curves and the square-up tool above, didn’t I? Jenny’s instructions are easy to follow and as long as you take it step-by-step you shouldn’t have any issues with this pattern. This includes making the curved blocks! 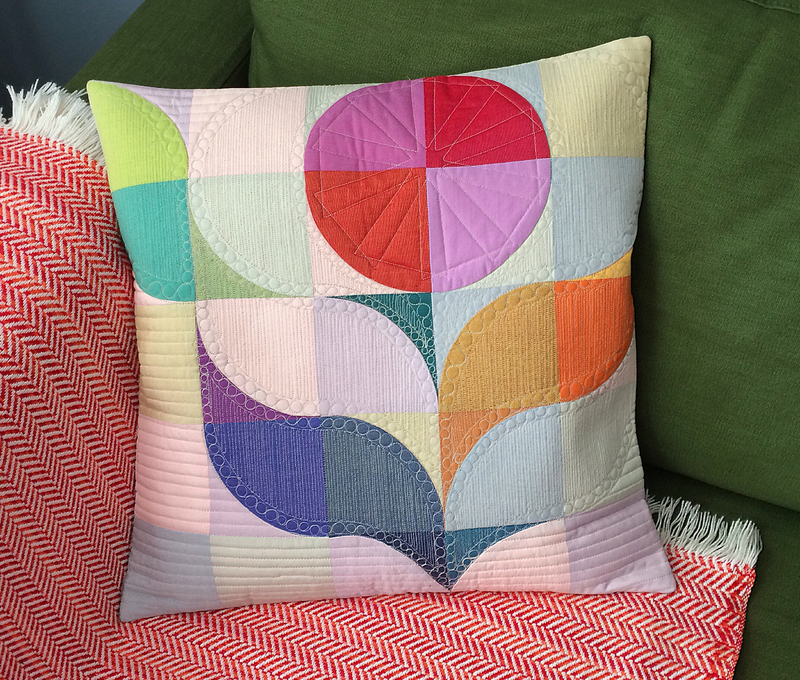 As you start with larger squares than you need, you can ‘just go for it’ and then trim to size. 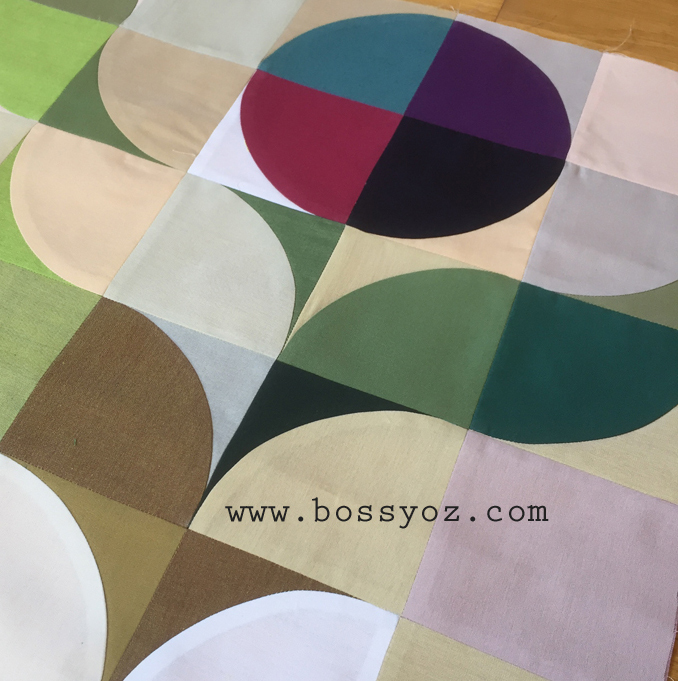 The pattern also includes instructions on how to place the two pieces of fabrics when sewing the curves; Jenny recommends to put the concave piece on top. Top tip: Cut some extra pieces so you can test it a few times. I found, that the more relaxed I was, the better the result. Hence my comment, to ‘just go for it’! 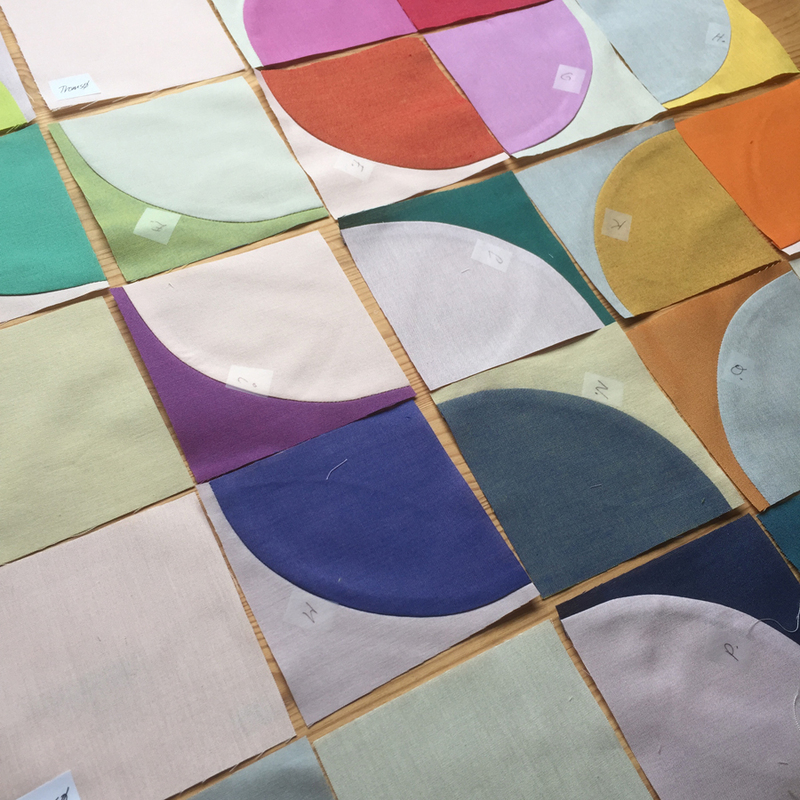 The pattern has now been launched as a new modern BOM, where Jenny is designing a different modern pattern on a regular basis for the UKQU website. Head over to UKQU to find out all the details of Jenny's BOM.